ChiIL Mama : Redmoon Theatre's First Youth Spectacle Begins Tomorrow! Redmoon Theatre's First Youth Spectacle Begins Tomorrow! Here at ChiIL Mama, we've been wowed by Redmoon Theatre's productions, puppets, and spectacles for years, and we highly recommend them. They are truly a Chicago treasure and one of our absolute favorites. We can't wait to check out their first ever youth spectacle! This extraordinary interactive event for audiences of all ages will be presented in partnership with the Peggy Notebaert Nature Museum, “Chicago’s gateway to urban nature”. 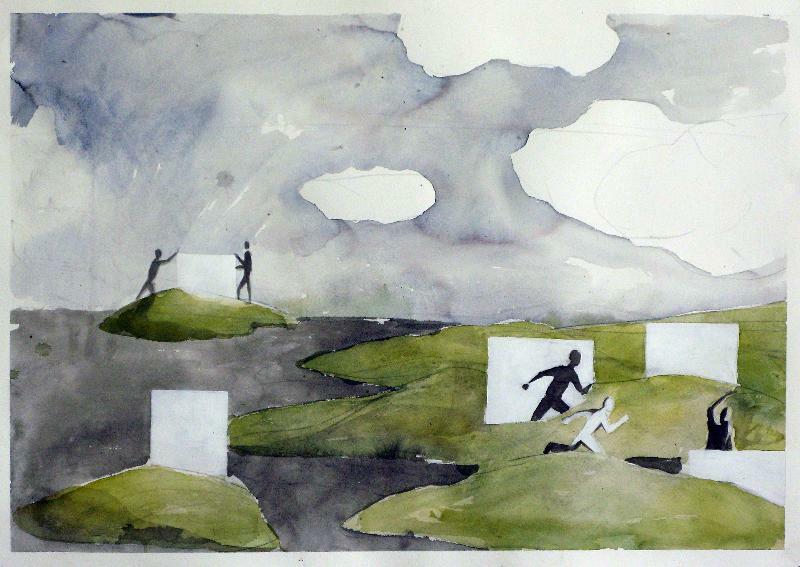 The youth created collection of curiosities magnifies everyday wonders of the Chicago urban ecosystem as experienced by young people living in our city. The living exhibit was built by over 750 youth from diverse Chicago neighborhoods in creative education partnerships with Redmoon’s Neighborhood Arts Programs. The youth use shadow animation, sound installation, surreal visual art, and performance to transform the museum’s South Gallery and Terrace. Collaborators: Audubon Elementary School, Cook County Juvenile Detention Center, Family Focus Lawndale, Franklin Fine Arts Center, Penn Elementary School, Manley High School, Melody Elementary School, and St. Patrick High School. There will be 60 youth performers participating in the Youth Spectacle performance. 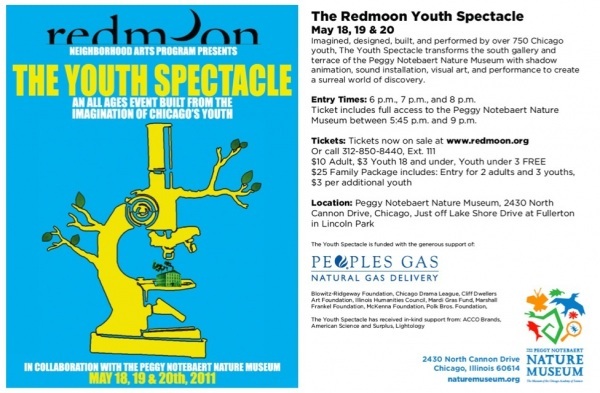 Redmoon Youth Spectacle admission is available at 6 p.m., 7 p.m. or 8 p.m. and includes full access to the Peggy Notebaert Nature Museum from 5:45 – 9 p.m. ADMISSION: Individual tickets: $10 for adults, $3 for ages 18 and under, and free for children under age 3. Tickets go on sale in April, and can be purchased by visiting www.redmoon.org or by calling 312.850.8440 x111. Join musicians from the Chicago Symphony Orchestra in an eclectic evening conceived by Mead Composer-in-Residence Mason Bates (DJ Masonic), Maestro Benjamin Shwartz and designer Anne Patterson. Mercury Soul is a unique and groundbreaking event combining classical musicians, DJs, and immersive visuals in a large, open-format venue. In between thumping DJ sets, classical performers appear scattered around the space, performing music by 20th-century heavyweights from Stravinsky to Adams. Along with slowly shifting lighting, groovy electro-acoustic interludes help guide the crowd from one musical space to another. TO PURCHASE TICKETS, VISIT THE CHICAGO SYMPHONY ORCHESTRA WEBSITE OR CLICK MERCURY SOUL!